Club record non-league appearance holder David Gamble began his career as a YTS at Grimsby Town having been spotted by former Everton player Mike Lyons playing near his Liverpool home. After two years with the Mariners, Gamble signed for Bath City on non contract terms just before Christmas 1990. Gamble had been due to make his debut for Bath against Sutton United but had been stranded by heavy snow just before the game. He eventually made his debut at home to Telford United only to be substituted after 82 minutes. That was his one and only appearance being released shortly afterwards. 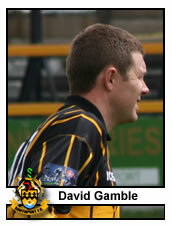 Returning briefly to Altrincham, Gamble signed for the Sandgrounders in January 1991. Renowned for his deadly left foot, he was a real dead ball specialist. Free kick, corner or penalty, Gamble was the man, and cries of “Get Gamble On” are still regularly heard to this day when a referee indicates a free kick anywhere near striking distance of the goal. Top scorer during the club’s first season in the Conference, with 15 from midfield, he cemented himself as a real fan favourite and left such an impression that fans are even known to have named their goldfish and pets “Gambo”. The following season he finished top scorer again, this time jointly with Steve Haw, and began to attract serious attention of the League scouts. Cable Television channel Wire TV’s live coverage of the Conference during the 1994/95 caught Gambo at his finest. In the two live games in which Southport featured, he scored a wonderful curling free kick from 25 yards in a 4-0 victory against Halifax, and later in the year a spectacular long distance drive away at Runcorn. Had Gamble been more of a consistent performer there is no doubt that Southport would have struggled to hold onto him. An immensely talented player Gamble forged a fierce reputation on the Non-League circuit. As with many a flair player he was often a frustrating player to watch but the spark that he was capable of producing was so special that he made himself irreplaceable. Described as an enigma by some by 1996 he had broken the club’s Non-League appearances record, and by the time of his departure eight and a half years after he first signed for the club he had amassed 263 games, 44 starts and 65 goals. His record was eventually broken by long serving goalkeeper Steve Dickinson in 2003. “Dave Gamble, whose performance last night justified his reputation for wielding the best left foot in Non League football, on the other hand, fired on all cylinders. His ninth minute corner swung in from the right with pace and, eluding Berryman, went straight into the Stanley goal. When he took another corner in the 34th minute, it speared in on goal again, went over the head of Berryman and was bundled in by Andy Whittaker. Berryman was substituted three minutes later while everything Gamble touched continued to turn to gold. “If Gamble wasn’t so lazy, he’d be playing league football,” enthused Darwen captain Steve Wilkes after the game. Of the three big successes of the Non-League era (so far) it is rare to find a player who has featured in two of them. An integral part of the 1992-93 HFS Loans League championship winning side, Gamble had been attracting League interest throughout his time at Southport and rumour at the start of the 1997/98 season suggested that Gamble would take up a full-time playing role with former boss Ronnie Moore at Rotherham. The move never materialised, Gamble remained a scaffolder by trade, and the culmination of that season saw him start at Wembley in the centre of midfield in the FA Trophy final. 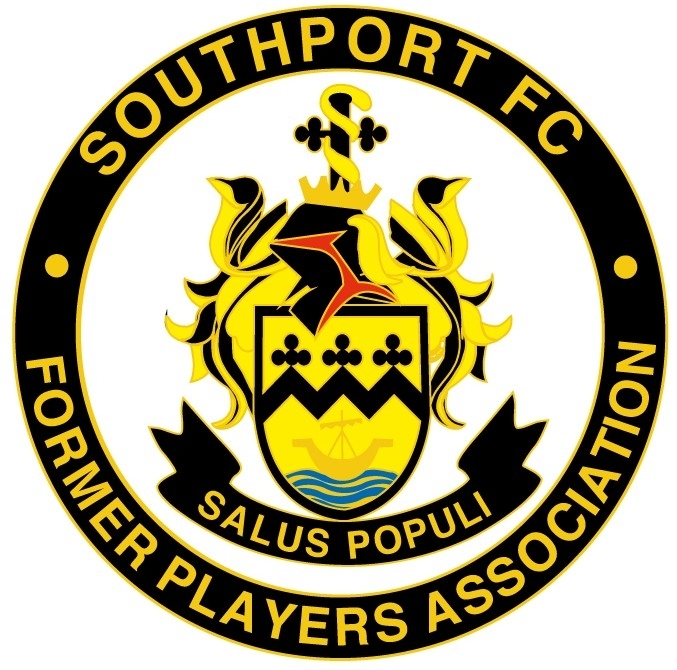 Gamble left Southport at the end of the following season just over a season short of his testimonial year. Following his departure from Southport he signed for Marine and became player of the year in 2000/2001 before signing for future Southport manager Liam Watson at Runcorn FC Halton in June 2001. Gambo saw out the end of the 2002/2003 season on loan at Rossendale and played a big part in ensuring Unibond Division One safety for United. Gamble’s contribution was enough to convince manager Jim McBride to make the arrangement more permanent.